I was recently interviewed on the Jennifer Fulwiler show. Jennifer and I talked about how I entered into the world of fundraising for Catholic organizations, what are the biggest challenges Catholics face when fundraising, and how Catholics can overcome them. This website which provides you with proven, step by step instructions that show you exactly how to fundraise in precise detail. If you are like most people who visit the website, you fall into one of the 3 categories. You work for a Catholic charity, parish, religious order, school, or diocese. And you are looking for resources to help you fundraise better. You volunteer for a Catholic organization and you want to help them with their fundraising. You are looking to make an impact by helping them raise funds so they can do what they do best: save lives and souls. Or three, you are just starting out with an exciting project, and you want to know how to raise money for it. Whether if it’s through fundraising in your parish or community, to launching a crowdfunding campaign, you want to know what are the best steps to move you forward. Whichever the case, you have come to the right place. 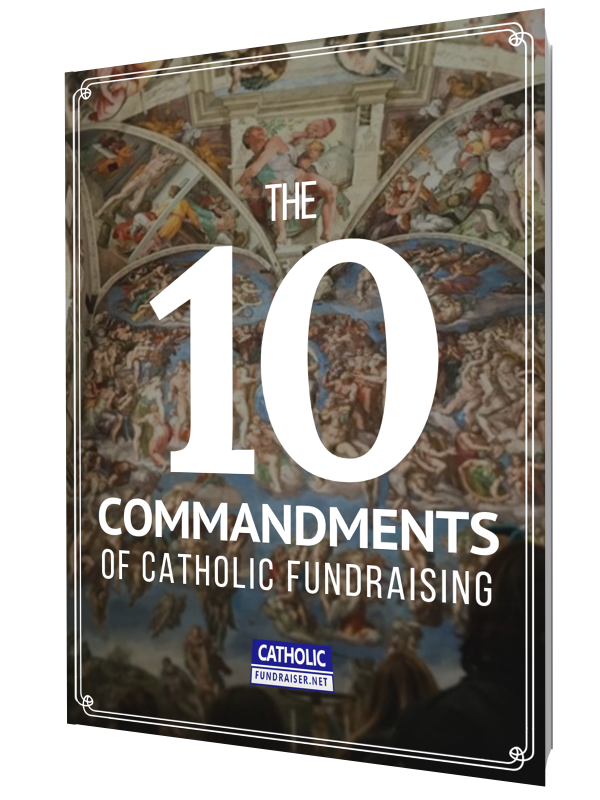 This website is used by thousands of Catholics each month in hundreds of different niches and missions to improve their success with fundraising. You can listen to the Jennifer Fulwiler interview here. This site shows you exactly what to do every step of the way, right down to what words you use when asking someone for a donation. The impact has been crazy huge…the Catholics whom I help with fundraising are doing some incredible projects. From helping to find funds for work in Africa, to providing resources to children in inner cities, to expanding their monasteries, to making more widespread the teachings of Natural Family Planning, to how to spread the beauty of Theology of the Body, or to just restore their church. I’ve been helping parishes, dioceses, religious orders, schools, universities, pontifical colleges, youth groups, marriage retreat centers, well… the list goes on! But I get most excited about all of the “regular Catholics” that I’ve helped realize their dreams to do something more with their faith.